About 20 very special children with heart disease will meet the canine companions—many of whom share the same congenital defects—who will walk alongside them in May’s Central MA Start! Heart Walk at an event at the Cummings School April 22. The children—part of the Friends with Heart team, which aims to raise $50,000 for the American Heart Association through the Walk—will meet several dogs who walk with students, staff, and faculty of the Cummings School of Veterinary Medicine’s Heart Walk team. The Cummings School team, now in its second year, hopes to raise $2,000 for the American Heart Association. The children—many of whom will be identified by their red caps as survivors of heart disease—will meet the dogs, whose red bandanas signify their own struggle with the nation’s number-one killer, will meet at an event at 3pm on April 22 in front of the Agnes Varis Campus Center at 200 Westboro Road, North Grafton, MA. 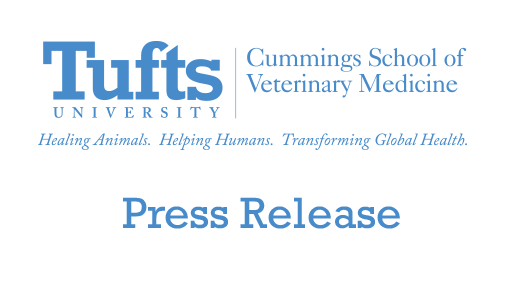 Among the dogs who walk with the Tufts team are Boo and Tally, who suffer from Patent ductus arteriosus (PDA), Cordis, who has a PDA, aortic stenosis, and mitral regurgitation, Hazel, who has a mitral valve prolapsed, and Ozzy, who has a ventricular septal defect, mitral regurgitation, aortic insufficiency, and a PDA. 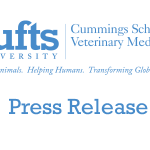 It’s a natural fit to support this worthy cause—and raise awareness that heart disease can effect dogs just as much as humans, said Lisa Freeman, DVM, PhD, a professor of nutrition at Tufts University’s Cummings School of Veterinary Medicine. This is a show of solidarity with these brave kids who walk against heart disease—and plus, it’s a lot of fun. The teams will walk together at the American Heart Association’s Central Mass Start! Heart Walk on May 2, starting at Worcester’s East Park at 8:30am.